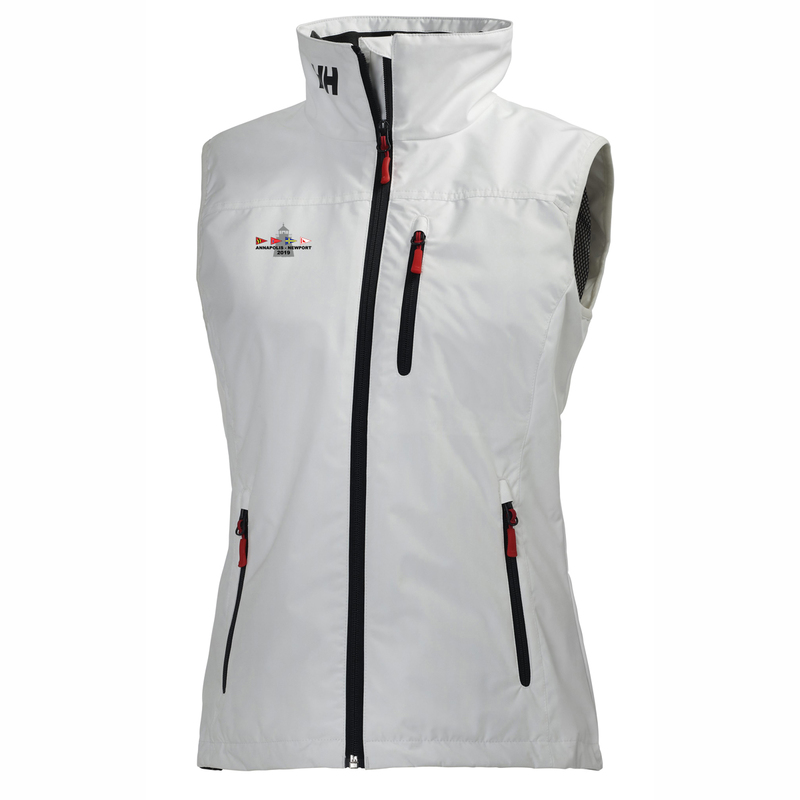 This women's Helly Hansen crew vest has the Annapolis to Newport Race 2019 logo embroidered on the right chest. A lightweight, marine style, women's vest. Versatile, and ideal for layering or wearing alone. A super versatile vest for women who want a true marine style, with added protection and comfort and a design that also looks great on land. The Helly Tech® Protection fabric is windproof, waterproof and breathable. The vest features a hip-length cut and a protective collar to be suitable in all conditions. and is also a true favorite among team and clubs with its ID race pocket at the back neck and a clean design.